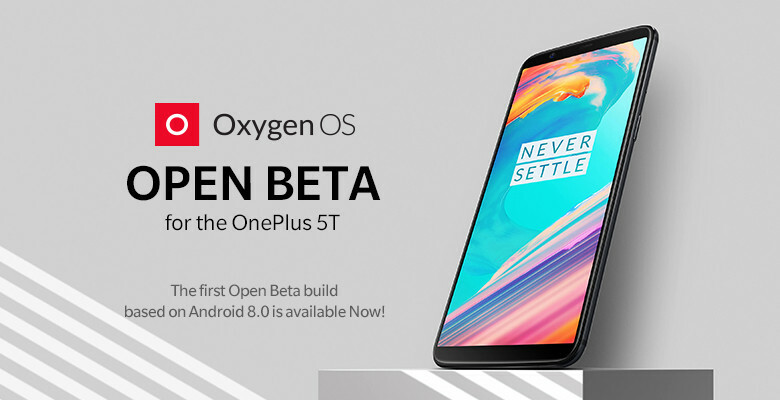 Update: The Open Beta 1 for OnePlus 5T started with Oxygen OS 5.0 build as well as Hydrogen OS H2OS. Downloads available below. Today is a remarkable day for the manufacturer OnePlus and its customers. We saw OnePlus 5T Oxygen OS 4.7.6, new Open Beta 29 for OnePlus 3, and Beta 20 for OnePlus 3T. Now, the flagship OnePlus 5T is received its first ever Open Beta Program update starting with Hydrogen OS, a.k.a, H2OS ROM. The 5T can now officially be updated to Android 8.0 Oreo with the first roll out of Open Beta 1 via H2OS firmware update. Since the H2OS beta started today, we may most likely see Oxygen OS Open Beta 1 for the OnePlus 5T as soon as tomorrow. The new update brings all the Oreo goodies like Picture-In-Picture, added new Auto-Fill for passwords, smart text selection for texts, etc. It also features the latest December 2017 Security Patch. This is the same update log that came with OnePlus 5’s first beta program. H2OS as we know, is an alternative ROM for the OnePlus Chinese variants. However, they work flawlessly on the international or global variants as well. The only thing missing with H2OS firmware is the Google Play Services. But you can manually install Gapps for Oreo update. The OnePlus 5 successfully received Oxygen OS 5.0 right after the Open Beta 2. This also brings the latest Android 8.0 Oreo to OnePlus 5. Now its time for the OnePlus 5T. Download and install the full Oreo stock firmware for OnePlus 5T from below. What’s new with OnePlus 5T Oreo Beta 1? This update of new Hydrogen OS Android O (8.0) for OnePlus 5T comes with the following highlights. The update log has been translated directly from Chinese language. 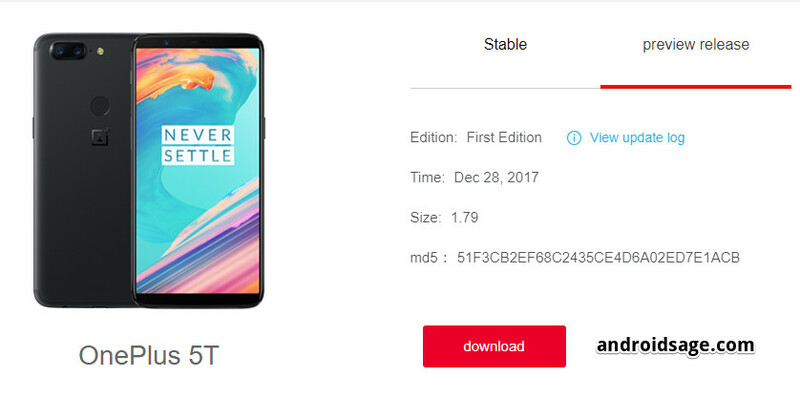 OnePlus 5T Open Beta starts with Hydrogen OS H2OS. The only way to get the Oreo Beta update onto your device currently is download and install the full stock firmware via stock or TWRP recovery. If your device OnePlus 5T is rooted with latest TWRP recovery, then wipe the previous system and data. Later, flash the new H2OS Oreo beta. Alternatively, if your device is un-tinkered with and running the official stock recovery, then download the full stock firmware from above and flash via Local Upgrade method. Read the detailed tutorial on how to install Open Beta on OnePlus 5 devices easily. How to downgrade OnePlus 5T to Android 7.1 Nougat firmware? In case you face major issues, as the build is in its Beta state, you can still revert back to the previous Android 7.1 Nougat build. You will need a special build provided below and directly flash via stock recovery or TWRP recovery. Downgrading or going back to official Oxygen OS OTA from the Beta will require you to perform a full wipe or so called clean flash. (FULL WIPE of all data and cache). The following builds are special builds which will perform a clean flash meaning a factory reset and wiping app, data, and cache. But Internal storage will remain untouched. Download special build listed here (Direct download link). Choose the downloaded build to flash. Leave a comment below and like us on social media.